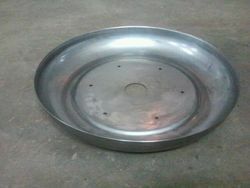 We are a leading Manufacturer of sheet metal pressing work and mild steel cutting job work from Ahmedabad, India. 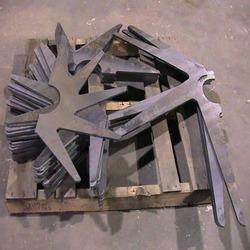 We are well reckoned entity offering high performing Sheet Metal Pressing Work. We have gained rich expertise in rendering most viable solution for pressing as well as deep drawing job work. Demanded widely for making machinery, equipments and varied industrial parts, the offered services are beneficial for our esteemed patrons from automobile, electrical, textile, switch gear and machinery manufacturing industries. Further, we are providing the highly advanced services with help of leading techniques and adherence to strict quality control measures. Backed by our team of meticulous professionals, we are instrumental in rendering bona fide services for Mild Steel Cutting Job Work. We have developed a well laid infrastructure equipped with best in class CNC machines for rendering bona fide cutting services. Our industrial expertise reflects in our cutting job work rendered for precise fabrication of mild steel sheets with up to 12mm thickness. Further, we are providing the quality compliant services for manufacturing of industrial parts as per the clients’ drawing and requirements at a nominal price.